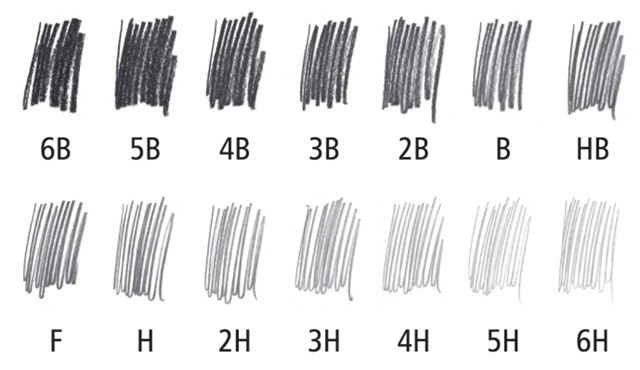 Many pencils across the world are graded on the European system using a scale from "H" (for hardness) to "B" (for blackness), as well as "F", a letter arbitrarily chosen to indicate midway between HB and H. The standard writing pencil is graded HB; this is the most commonly used grade for the office. The patented Soft-GRIP zone prevents fingers from slipping while the ergonomic triangular shape ensures fatigue-free writing. 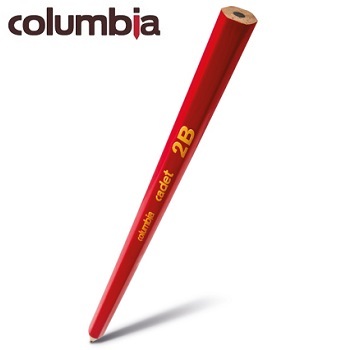 The smooth writing leads are specially bonded to prevent breakage while you write. The pencils are made using reforested wood to be more environmentally friendly. Box of 12 pencils. Triangular grey/black dot grip barrel. Available in HB and 2B grades. An economical grey graphite pencil. The ideal everyday pencil partnering quality with value. 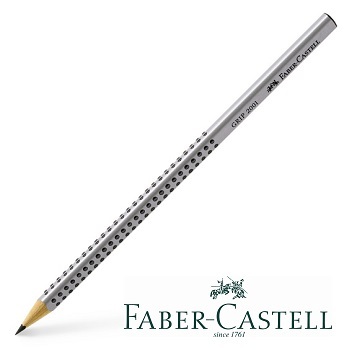 The cadet pencil range ensures perfect writing for people of all ages. Box of 20 pencils, Hexagonal red barrel. 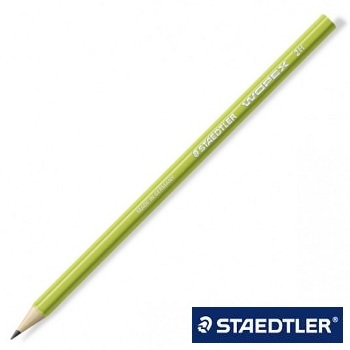 High-quality hexagonal pencil for writing, drawing and sketching. Suitable for office, home or school use. Break-resistant super-bonded leads. Easy to erase. Easy to sharpen with any quality sharpener. Lead diameter 2 mm - Made in Germany. Box of 12 pencils. Black and Red barrel. Full range of 14 grades (degrees) available. Quality general purpose hexagonal pencil for writing, drawing and sketching. Natural Raw unpainted finish with one coat of clear lacquer. Superior quality, break-resistant leads. Easy to erase. Available in a Box of 12 or Tub of 100 pencils. Premium-quality, professional pencil for writing, drawing and sketching on paper and matt drafting film. The ideal tool for artists and graphic designers. Lines reproduce well. Easy to erase. Box of 12 pencils. Blue barrel. The first pencil made out of WOPEX, the new natural fibre material made from 70% wood, top quality for writing, drawing and sketching. Writes up to TWICE as long as conventional wood-cased pencils. Excellent lead stability and break-resistance. Easy to sharpen. Box of 12 pencils. Barrel colours relate to grades. 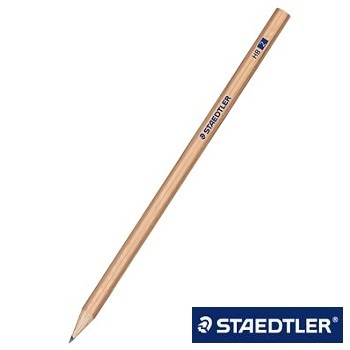 An ideal everyday pencil partnering quality with value. Little golf-type or bookie's pencils for general purpose use or any time you need a short pencil that fits in your pocket. 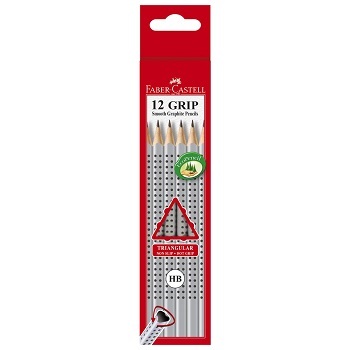 HB grade (degree) pencil ensures perfect writing for every use. Box of 10 half length pencils (80 mm) - Red round barrels. 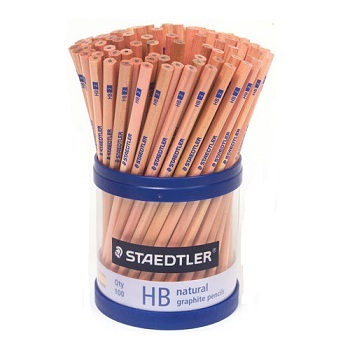 Bulk box of 400 half length pencils (80 mm) - Red round barrels. Industrial grade lead carpenter pencils. 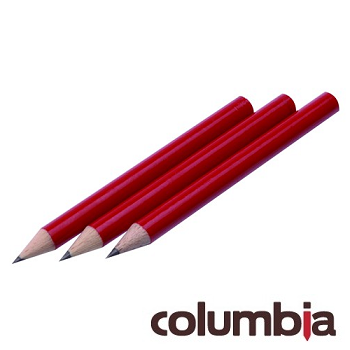 Designed for the hardworking industrial person, the Carpenter range of Columbia pencils will withstand any environment and situation put to it. 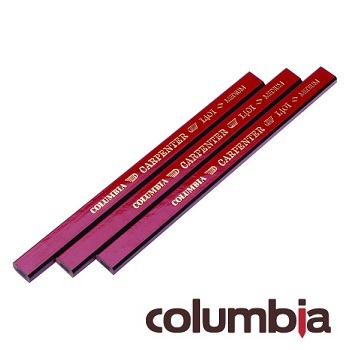 Medium graphite (Red) for general carpentry requirements. Hard graphite (Green) for marking hardwoods, plastered walls and brickwork.